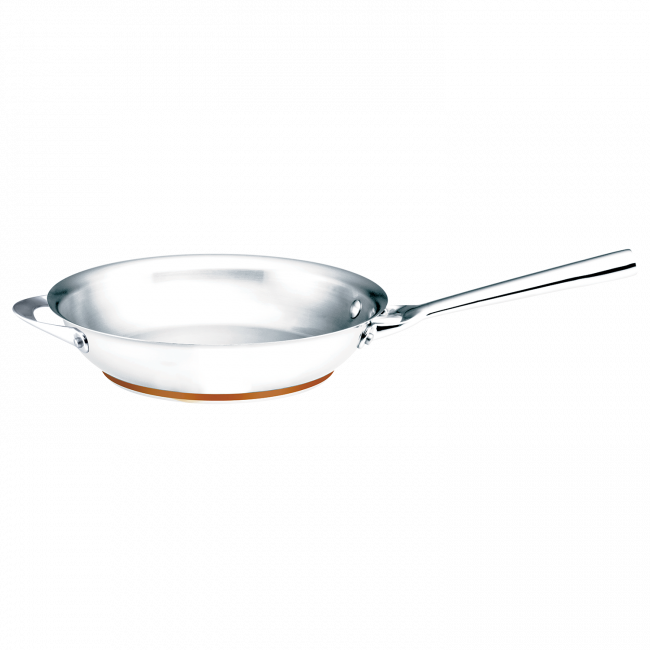 Essteele Per Vita 28cm Open French Skillet is rated 3.9 out of 5 by 8. Rated 1 out of 5 by Toby from Terrible product Bought this in January after shop assistant said you can make stainless steel surface non stick by seasoning the surface but everything sticks every time. Waste of money. Very disappointed. Rated 5 out of 5 by Aussie1990 from Great pan. We've been using this for the past month. It's been fantastic so far without any dramas. On the heavy side for a pan. Rated 5 out of 5 by Billy29 from Adoring and Long Lasting I have adored this pan from the very moment I purchased it to complement my Essteele Per Vita 5 piece set. The copper bottom provides excellent heat distribution, and the overall weight makes it a solid, yet always enjoyable piece of cookware to use. Rated 4 out of 5 by cherieh from Top Quality Purchased this in December 2018. 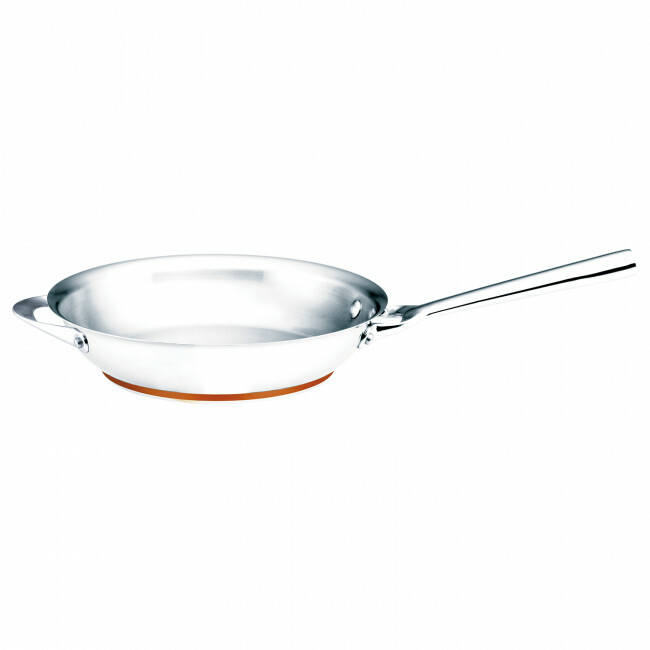 Its excellent quality, solid , looks great and distributes the heat nicely. Rated 5 out of 5 by GenM from Cooks Beautifully This pan has the ability to maintain an even heat.and gives excellent results. Easy to clean and looks stylish. Rated 1 out of 5 by Belinda28 from Very disappointed!! I purchased this earlier this month and I used it three times and have decided to stop using it as everything sticks! Then it is a nightmare to get clean. As much as I wanted to love it, it's awful to cook in and subsequently clean, so disappointed. Rated 5 out of 5 by Leonie from Optimum results, I have previously used non stick frypans but the Essteele Per Vita Open French Skillet is fantastic. It cooks evenly and it's a bonus to be able to start cooking on the stove top and finish off in the oven. The skillet is also very easy to clean.